These aMAYZing people are the engine of aMAYZing Kids. They are the visionaries who manifest the legacy of Hailey Mayz in their work with children each day. 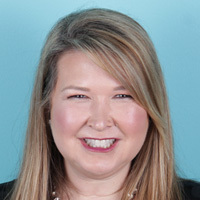 Stephanie has extensive experience in pediatrics with evaluation and treatment of sensory processing disorders, pervasive developmental disorders (including autism), feeding and swallowing difficulties, fine-motor deficits, and developmental delays. 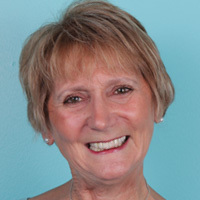 Her specialized training includes advanced practice in feeding and swallowing (SWC), vital-stimulation certification, advanced practice in physical agent modalities (PAM), and advanced training in the SOS approach to feeding. 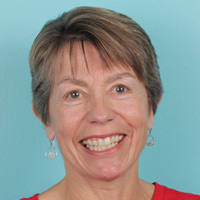 She is certified in administering the Sensory Integration and Praxis Tests (SIPT), as well as the Therapeutic Listening program and astronaut training. Her qualifications include a B.S in occupational therapy from Thomas Jefferson University and a B.S. in psychology from Drexel University in Pennsylvania. 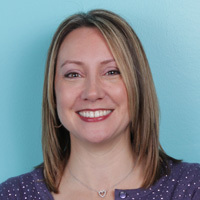 Stephanie enjoys traveling and spending time with her husband, her two children, and her dog. Michelle is a versatile therapist with diverse skills in teaching and infant care. She has a B.S. from Villanova University and a master’s degree in education from Fordham University. 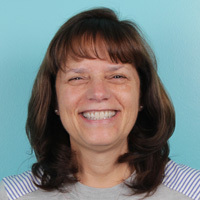 She taught elementary school for 15 years and now specializes in helping children with severe cognitive and language delays, assessing patients with the HELP, Rossetti and DAYC assessments. 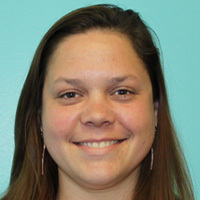 She is a hands-on partner with parents, and has completed coursework in child development and special education. 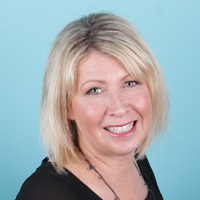 Michelle has additional experience in marketing and advertising. Michelle enjoys camping and spending time at home with her husband and her two daughters. Lori is an experienced pediatric specialist with a passion for physical therapy. She is trained in teaching yoga to children, sensory integration therapy, SCERTS model for spectrum disorders, multifunctional movement, IASTM, dynamic bracing and orthotics, torticollis treatment, and NDT (neurodevelopmental treatment). Lori earned her B.S. in kinesiology from Cal State University Fullerton, and her master’s degree in physical therapy from Western University of Health Sciences, Pomona. Lori has evaluated and treated children of all ages in a variety of settings for over 18 years, including inpatient therapy, schools, infant/early intervention, and medical-based outpatient therapy and believes in evidence-based practice. She enjoys mentoring the clinicians at aMAYZing Kids, business development, spending time with her own two children, and being outdoors. Sean is a proven manager and leader who began his career as an entrepreneur and IT/systems specialist in the Internet space. From there, he translated those skills into the advertising industry, where he has led multi-disciplinary teams that build the latest in interactive marketing tools. He is currently Chief Operating Officer and partner at Thread, a digital-first agency with a focus on the healthcare industry, where he works to improve health through the combination of creativity and technology. 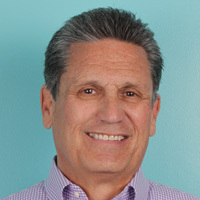 Erik is a seasoned executive, having spent over 30 years in the senior living industry with a leading national group purchasing organization (GPO). He began his career managing supplier contracts that eventually exceeded $750 million in value. In addition, he served as the president and CEO of the national GPO for 5 years and helped develop industry standards and best practices for supplier and manufacturer contract negotiations and value-added programs. 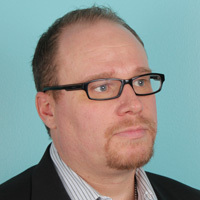 Erik’s skills include corporate marketing, finance, sales, contract administration, human resources, and IT. He has a B.A. in English and an M.B.A., both from Brigham Young University. Kathy uses her experience with school funding, policies, and legislation to develop processes and procedures for our clinic. She has a bachelor’s degree in business and has worked as a purchasing agent in both the aerospace and electronics industries. She has also raised two children. Mazie is Hailey’s grandmother as well as a volunteer at aMAYZing Kids. She enjoys seeing the legacy of her granddaughter live on through the clinic. Laura has a master’s degree in occupational therapy from the University of Southern California. She has worked with children in a variety of settings, including the home, schools, and clinics. 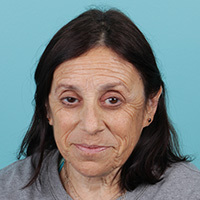 She has experience working with feeding, handwriting, and sensory integration and has worked with children who have a wide range of disabilities, including autism, developmental delay, Down syndrome, and others. Tammy is an experienced pediatric physical therapist assistant who is a welcome asset to the aMAYZing Kids team. 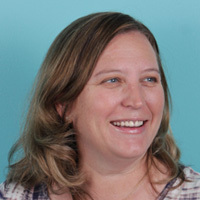 Tammy completed her certification at Cerritos College in 1997. She has spent her career in pediatric clinics, treating children with sensorimotor, muscular, skeletal and neuromuscular disorders. She is trained in NDT and sensory integration techniques. Tammy is outgoing, caring, and patient. A mother of two, she enjoys working with children of all ages. Lori is an experienced pediatric specialist with a passion for physical therapy. She is trained in teaching yoga to children, sensory integration therapy, SCERTS model for spectrum disorders, dynamic bracing and orthotics, torticollis treatment, and NDT (neurodevelopmental treatment). Lori earned her B.S. in kinesiology from Cal State University Fullerton, and her master’s degree in physical therapy from Western University of Health Sciences, Pomona. Lori has evaluated and treated children of all ages in a variety of settings for over 18 years, including inpatient therapy, schools, infant/early intervention, and medical-based outpatient therapy. She enjoys mentoring the clinicians at aMAYZing Kids, business development, spending time with her own two children, and being outdoors. Erica has bachelor’s and master’s degrees from San Diego State University in speech pathology and audiology. 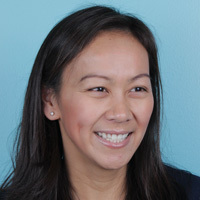 She has worked in a variety of settings with diverse populations, including adults, at the Naval Medical Center in San Diego and severely disabled children in the San Francisco Unified School District. In Orange County, she has worked with children of all ages with a variety of disorders and needs, including receptive-expressive language, fluency, cleft palate, apraxia, autism, and articulation. She is specially trained in using the Autism Diagnostic Observation Schedule. Erica has been married for 30 years and has two adult sons and chocolate Labrador retrievers. She looks forward to being a grandparent in early 2015! 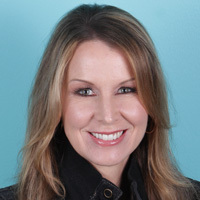 Leslie has a Bachelor of Arts in communicative disorders from California State University, Fullerton and received SLPA certification in 2005. She completed her SLPA internship in a school setting and in a hospital setting, where she worked with adult stroke and traumatic brain injury patients. She has over 10 years of experience working with children of all ages and a variety of disorders, including articulation, apraxia, autism, receptive/expressive, and pragmatic language. She enjoys working with the pediatric population and spending time with her two young daughters. She is fluent in Tagalog and loves to travel with family and friends. Kelly moved from East Coast to be closer to family. She was recruited to volunteer at many aMAYZing Kids fundraising events by her mother and learned a lot about the clinic and its mission. She began working at the clinic in the fall of 2015. She has proven herself to be dependable, flexible, and a quick learning in the back office handling a variety of tasks. She serves as a liaison between the front office and billing department and welcomes difficult challenges and projects. She loves building things, gardening and working with her mother, who is a regular clinic volunteer. Serena is a wonderful addition to our team. Her smile and friendly voice will brighten your day.